CHAPTER – 3 | HOW MANY SQUARES? 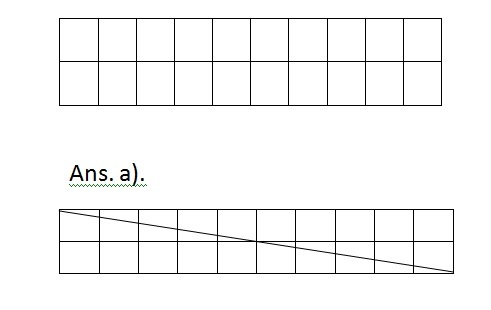 • Total length of the boundary of a closed figure is perimeter. 1. 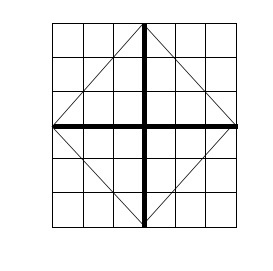 Write the area in square cm of the shaded portion? Perimeter is the length of the boundary. 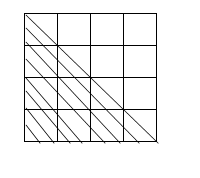 Consider the given square as four equal squares. The first line is half of the first square. 4. Here is a rectangle of area 20 square cm. a). Draw one straight line in this rectangle to divide it into two equal triangles. What is the area of each of the triangles? b) Draw one straight line in this rectangle to divide it into two equal rectangles. 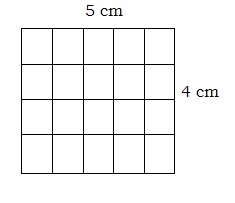 What is the area of each of the smaller rectangles? 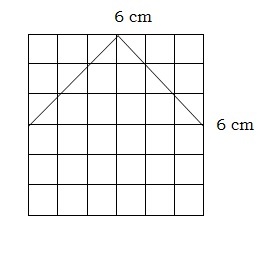 c) Draw two straight lines in this rectangle to divide it into one rectangle and two equal triangles. What is the area of each of the triangles? 5. 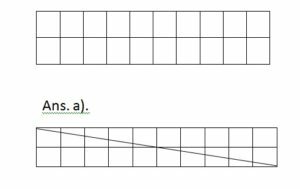 Find the area and perimeter of a rectangle whose length is 8 cm and breadth is 2 cm? 6. Find the perimeter of a square shaped flower bed of side 8 m? 8. A room is of length 5 m and breadth 4 m. Find the cost of cementing the room at the rate of Rs. 40 per square metre. 9. Find the length of frame required for a portrait of length 500 cm and breadth 300 cm. 10. A rectangular garden of length 50 m and breadth 40 m needs to be fenced. Find the length of fencing required? What will be the cost of fencing at Rs . 40 per m.